The small but plentiful fruits of Calamondin Orange, a hybrid between a Tangerine and a Kumquat, can be pickled, added to chutney, turned into marmalade, or used as a substitute for limes. Their zesty, tart juice is perfect for desserts and beverages. A popular houseplant for sunny rooms. Gardeners and cooks in all regions of the country can grow Citrus trees with our specialty plants. Gardeners in Zone 10 can expect them to reach 6-10' tall when planted in the ground. Elsewhere in the country, Citrus should be grown in containers and will stay smaller, eventually reaching 4-5'. In cold climates, containers may be moved outside during summer to a sunny spot protected from the wind, then brought back indoors before frost. Every state has agricultural regulations that restrict the shipment of certain plants. We're sorry, but we cannot ship this item to the following states: FLORIDA, TEXAS. When you receive your plant, do not be alarmed if it begins to drop flowers, fruit, and/or foliage, as this is the plant’s reaction to being shipped. Citrus plants need at least 4–6 weeks to acclimate to a new location and this acclimation can take longer if the plant is receiving less than 6 hours of direct sun per day. During this time, DO NOT fertilize the plant, as this will cause further stress. Once the plant is acclimated—which means the plant is able to produce and maintain new growth—you can begin fertilizing according to our recommendations mentioned below. In most of the United States, these plants must be grown indoors, at least during the winter. 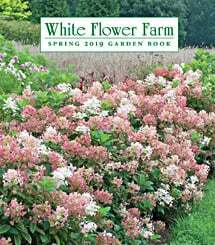 Fortunately, their rootstock will keep them a manageable size (to no more than 4–5′ in a container), so they can summer on the patio and spend the winter in a greenhouse, an enclosed porch, or near a sunny, south-facing window. Move the plant outdoors in late spring if you'd like, but wait until the weather is warm and settled. Gardeners in Zone 10 and warmer can grow Calamondin Orange and 'Meyer Improved' Lemon outdoors. 'Meyer Improved' Lemon is hardy in Zone 9 as well. Set the pot outdoors in a sheltered, lightly shaded spot, increasing the exposure to sun and wind each day. Check the moisture of the potting mix and water thoroughly if it's dry. At the end of one week (give or take a day or two), your plant will be ready to go in the ground. Choose a spot for your plant that receives full sun (at least 6 hours of direct sun each day) and is protected from drying winds. Planted in the ground, our Citrus will grow approximately 10′ tall. Whether in the ground or in a container, Citrus need steady moisture. Water when the soil is dry to an inch deep. Don't let the tree dry out. If it does dry out, there's a good chance it will drop leaves, fruit, or both. If excessive drying is due to wind outside, move the tree to a more sheltered location. Mulch with bark chips or gravel around the base of the tree (keep it back a few inches from the trunk) to conserve moisture. Since Citrus are heavy feeders, we include a nutrient spray and a slow-release fertilizer with our Citrus plants. For the nutrient spray: Once your plant has acclimated to its new home (about 4-6 weeks from receipt of plant) and when it is warm enough to spray your plant outdoors in your area, add all of the product to 4 oz of water in a spray bottle (not included). Move plant to a shady location and spray the leaves. Avoid spraying the blooms. Apply weekly until gone. For the slow-release fertilizer: Once your plant has acclimated to its new home (about 4-6 weeks from receipt of plant), uniformly spread complete package contents on the soil at the base of your plant. Do not mix with water or apply to foliage. Prune Citrus at any time of the year except winter. Pinch growing tips and cut back leggy branches to help a spindly tree fill out. Suckers (shoots growing from below the graft or emerging from the soil) should be cut back as soon as they're noticed.